This page is designed for the sole purpose to help you identify your current pest problem. Choose from the common pest problems below by clicking an image of a pest. We are glad to provide this free service to you to help you to get more information on your pest control problems. 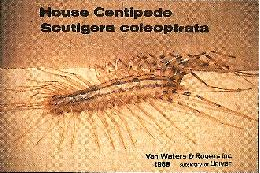 Adults up to 5″ long. May live 8 years as immature and adult. Two pairs of legs per segment, rounded body shape, slow moving vegetarians. Many give off toxic and unpleasant odors when disturbed. Occasionally extremely large infestations occur in structures. Adults dark colored with pale legs, well developed wings folded under small wing covers. Forcepts or pinchers, are the cerci used in defense as well as for capturing food. Female lays up to 50 eggs, cares for them and the young after hatching. Food is primarily plant material and other insects, including termites. Chinch Bugs – Blissus sp. TURF DESTROYING. 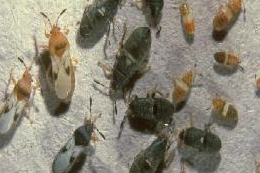 Adult chinch bugs are almost 3/16-inch long, have black bodies and fully developed wings that appear frosty-white except for distinctive triangular black patch-like markings at the middles of the outer margins. Adults appear as either long-winged or short-winged forms. Newly hatched nymphs appear orange red with a pale whitish band across their abdomens. As they molt through five growth stages (instars), nymphs gradually change color from red to orange to black and develop wing pads as they develop. 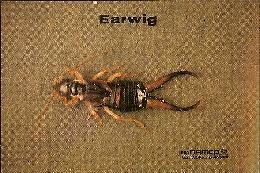 Adults up to 2″ long with extremely long legs- 15 pairs- last pair very long. Poison glands present. Biting possible on humans, but problems slight. Very fast moving creatures, occuring commonly in structures where they feed on insects. 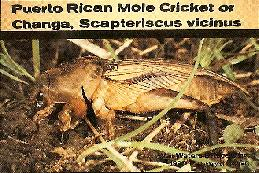 Adult light brown, up to 2″ long, with broad, toothed, spade-like front legs. Eggs laid in soil in spring. Feed on roots of plants, especially grass and lawns, causing severe damage. 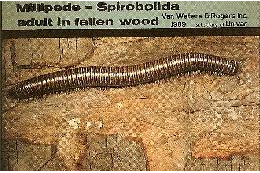 Adults remain in tunnels in soil except for spring mating activity.